You can release some free time from your tight schedule and have a rest or spend your time more pleasantly using the services of our experienced domestic cleaners. 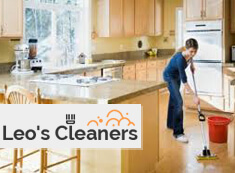 They will provide the cleaning and household tasks which you need, done according to your requirements. We offer flexible services which will suit the needs of every customer. Our team of certified domestic cleaners arrive equipped with the necessary machines and detergents for work. Rely on them to make your home flawless and hygienic in a matter of hours. Our domestic cleaners work in the area of Chiswick W4 seven days in the week. If you want to have have a rest from your daily cleaning and housekeeping chores, leave it to our professional domestic cleaners. They will make your rooms tidy, well sanitised and perfectly maintained. Use our services one off or regularly according to your needs. We can send our domestic cleaners to your address every day, once a week, fortnightly or monthly. Our cleaners work every weekday and weekend. The domestic cleaners who work in our company are at your disposal in Chiswick W4 to ensure the cleanness of your home. Instead of spending much of your free time in cleaning and household work, which seems endless, you can rely on our employees to do it for you. We have many happy customer who regularly use the services of our domestic cleaners. Contact us at any time and schedule a meeting with our regular house cleaners in W4 Chiswick and are ready to help you keep your rooms neat and clean.